Jim Lowrey and his band of hippie friends, the Pygmies, fell in with one of the most notable Buddhist teachers of the twentieth century. 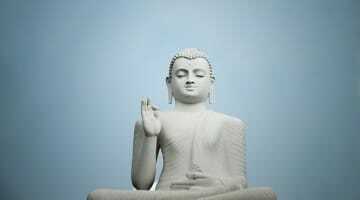 Together, they navigated a changing America and established a Buddhist community. 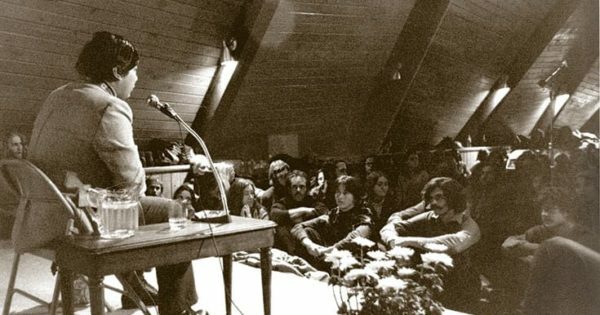 This excerpt from Lowrey’s book, Taming Untameable Beings, it takes place in Colorado, 1971, after the Pygimes have met Chögyam Trungpa Rinpoche and begun to practice. First there was the Pygmy group. Diana and I myself felt good about them although their general decorum was questionable. We had lots of talks with them and they were invited to my first birthday party in America. We had quite a wild and raucous time. Real devotion comes from personal experience and connection. The closest analogy that I can think of would be the way you feel about your lover, who may not be a great musician or a great football player or a great singer. He may not even be all that great at keeping his domestic life together. But there is something about the person, even though he doesn’t fit any of the usual categories of heroes. He is just a good person, a lovable person who has some powerful qualities in himself. Love seems to be the closest analogy. At the same time, with real devotion, there is something more to it than that. . . Something else is taking place, at ground level, a very fundamental level that involves relating with your mind and your whole being. That something else is difficult to describe, yet that something else has immense clarity and power. In my third interview with him, Rinpoche suggested that I do a three-week retreat in my teepee at the Pygmy Farm. At one point in that interview, he gazed off into space for a minute, then looked at me and said, “You will prepare your own meals, right?” I said I would. My next great adventure was leaving the teepee, walking the 200 yards to the trailer, and taking a hot shower. Such bliss! “Are you sure?” I asked. I was almost as surprised that my first spoken words came out normally as I was at the invitation. Within an hour, I was at the main house at the Pygmy Farm, trying to answer questions about what a retreat is like. “It’s like . . . nothing, but hard.” But something had happened in that retreat besides breathing and eating. A connection with the guru had happened. Or increased. Or became experiential. There were times when I felt his energy pass through me as I scratched my face. Sometimes I felt his face behind mine when I lifted my eyebrows. Words can’t express the intimacy of his presence flowing through me. I sing this song in praise to you, with love. Vainly searching for truth, didn’t know I saw illusion. We turned right at Four Mile Canyon without spilling a drop of our wine and soon were in Rinpoche’s driveway. Our exuberance settled suddenly into a hush; we were nearing the guru’s space. We walked up the hill to the front door with arrogance tempered by fear. That was our middle way. John Baker opened the door and welcomed us. The living room was quiet and hued with soft light. 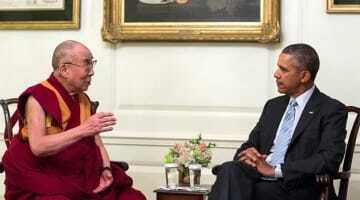 Rinpoche was holding court in the far corner of the room. He was seated in a chair, dressed in a dark chuba with gold trim, looking quite elegant. Someone was kneeling before him, offering a gift. The overall feeling was formal, even royal. The group I was with moved into the queue to speak to Rinpoche. I didn’t have a gift for him, but Zayhalia had carved a Milarepa image from bone, and said it was from all of us. As I got closer to Rinpoche, I could see some of the gifts he was getting. Someone had given him a bolo tie with a cow-skull clasp that he had put around his neck. The person in front of me gave him a Mr. Natural “Keep on Truckin” button, which he pinned on the left side of his robe. I realized that the occasion was not all serious, so I relaxed somewhat. But still I was haunted by my retreat experiences. “Happy birthday, Rinpoche,” I said. “Sir, what does sangha mean?” I asked, exaggerating the “ha” in an attempt to shape the foreign word. The question sprang unbidden from my lips; maybe it had bothered me in retreat. “Many bodies, one mind,” he said. “Oh. What about a gathering of monks?” I asked. “That too,” he said dryly. 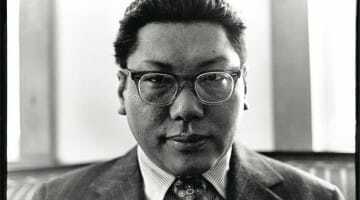 Excerpted from Taming Untameable Beings: Early Stories of Chögyam Trungpa Rinpoche with the Pygmies and Other Hippies, by Jim Lowrey. For more information about Taming Untameable Beings, click here. 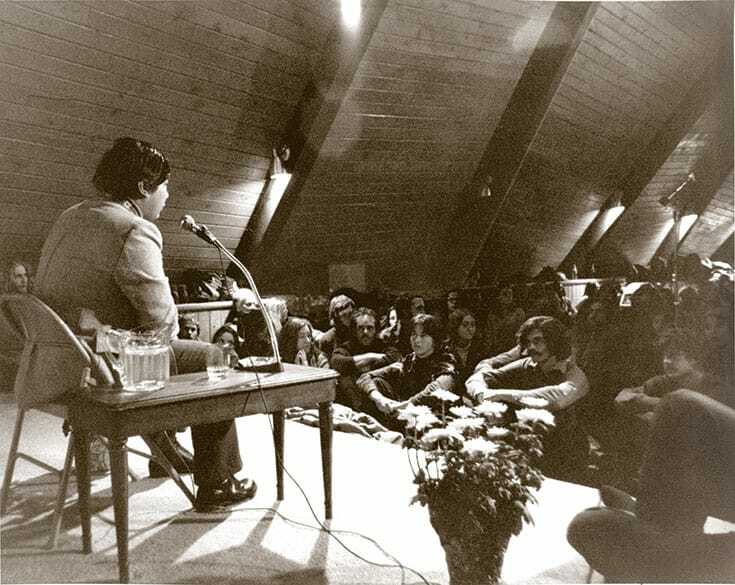 Jim Lowrey was an early student of Chögyam Trungpa Rinpoche, who, with the rest of his Pygmy hippie family, went to Trungpa Rinpoche’s first public talk in Colorado in 1970 and connected with him immediately. As part of the early baby boom generation, Jim considers himself "emblematic of the sixties generation of war protesters, college dropouts, and hippies, who matured as the American born-again organic, locally grown, free-run middle class."